"If just one person showed compassion, just maybe it will cause a chain reaction." Dr. Christine Grimaldi holds doctorates in the fields of Neuroscience, Positive Psychology, and Exercise Physiology. She has dedicated over 30 years to directing and building integrative medicine programs in hospital and corporate settings, including her tenure as director of the Integrative Therapies Program for children and adults with cancer at Columbia University Medical Center. Nationally known as a celebrity trainer and life coach, Christine has now brought her expertise, talent, and energy to Long Island, NY. If anxiety, cancer, autoimmune disease, osteoporosis, chronic illness and/or chronic pain is hindering your daily activity, Dr. Grimaldi will design a program to bring ease back into your life by expertly fusing fitness, neuroscience and coaching to create a more fabulous you. Christine is passionate about developing movement based programs for patients and clients with special needs, and teaching the art of extreme self care to all - regardless of any physical or emotional limitations, and giving back to the community. After you reach the age of 35, most trendy programs became unsustainable. Dr. Christine Grimaldi founded The Body Mantra Method and has been teaching this technique for over 30 years - some of her long time clients are in their 90s, look amazing, and are full of vitality! The Body Mantra Method (BMM) was created for and used by celebrities in NYC, The Hamptons, Florida, C, and has now made its home at The Body Mantra & Barre Studio, in Smithtown, NY. BMM fuses the best of Yoga, Barre, & Pilates, and will help produce a long, lean body. You will burn fat, tone, strengthen, increase flexibility, learn to connect the mind, body & spirit, and practice extreme self-care. Our studio also offers daily Yoga As Medicine (YAM) classes, where we use select yoga and barre tools - such as poses, breathing techniques, relaxation exercises, and meditation, as well as dietary and lifestyle recommendations - to help with virtually any health condition - physical or psychological. Christine and her team work with all chronic conditions and will help return you to a joyous life. Their Integrative Medicine Center offers additional healing services such as well as a Salt Spa where you can experience its healing benefits and enjoy a cup of CBD coffee or tea. ALL levels, shapes and sizes are invited to join the Body Mantra Tribe where you will experience classes led by the founder of the Body Mantra Method, and her team of personally trained instructors, who truly care about each and every one of their students. Are you ready to experience results, camaraderie and.....Magic??? Bring peace, joy and FUN into your daily health and self-care regimen....Call or stop by TODAY! In her spare time Christine loves to hang out with her Goldendoodle Molly. "The Body mantra Method will give you results quickly and Efficiently while teaching you mindfulness in Motion... class schedules are set up across The board like a p90x strategy, using our Fabulous and unique Classes to create a longer, leaner, and calmer You." Are you one of the millions that go in hard and drop out easy, either due to injury or lack of accountability? Click Body Mantra Barre website below! While we are here, walking on Earth, we are intimately attached to our humanity and to our bodily experience. Woven throughout this reality, is an eternal, creative, beautiful spark of divinity that has traveled into this world to learn lessons, gain new perspectives and to expand through exploration of our life force. This is our soul’s desire and access to its gifts is our birthright. For many of us, however, as we navigate through our material world, we lose our way, forget who we really are, become distracted and ultimately disconnected from our very essence. As a result we may experience physical, emotional or mental challenges that diminish our joy and interfere with our ability to live the life we desire. What does a “Soulful Life” look like? A life of inner peace, balance and harmony. A life filled with joy and purpose. A life of vibrancy & wellness. Science and contemporary research is now confirming what spiritual teachings and mystics throughout the ages have asserted; we are more than our physical bodies and we hold a powerful and innate capacity to heal ourselves and others. 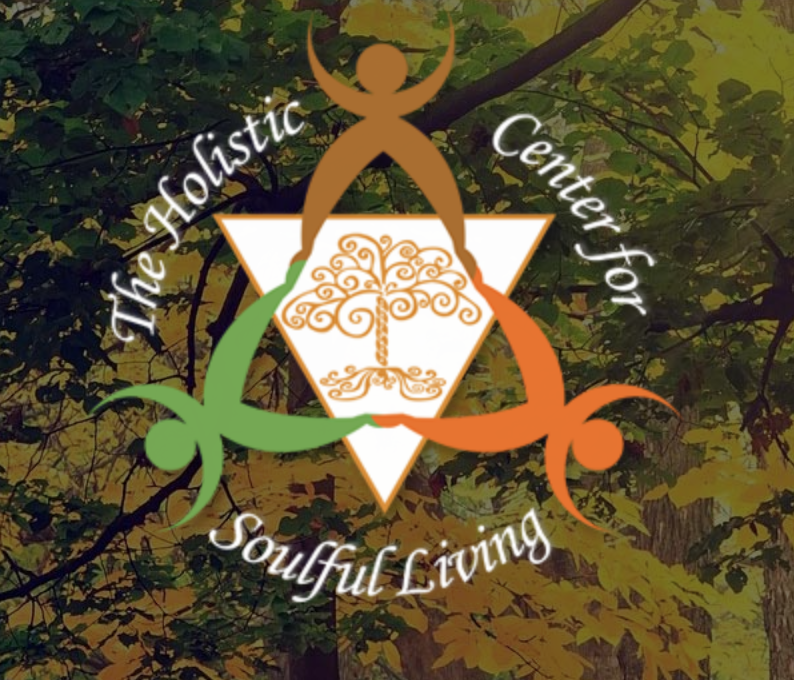 At The Holistic Center for Soulful Living we offer you a wide range of pathways and opportunities to rediscover yourself and reignite your passion for living. Here, with loving witness to your journey and compassion for every road that you have traveled, we help you to remember who you are and to realign with your most authentic self. Roslyn Salt Cave provides relief for those with sinus and breathing ailments and helps balance PH levels in the body.